On Monday June 12, 2017, Mário Nicolini has paid the visit to the Mother Alexia’s Grammar School in Bratislava. 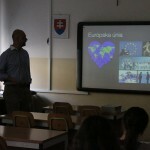 He attended debate with students on the EU myths, which has been organized by the Slovak Security Policy Institute in cooperation with the Representation of the European Commission in the Slovak Republic. Discussion has focused not on the European integration. 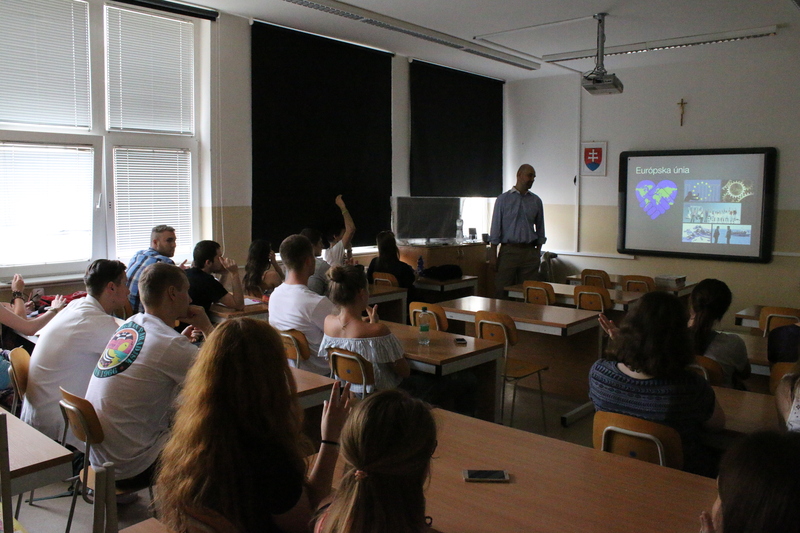 Third-year students were also posing critical and curious questions on social system in Slovakia, growth of corruption and regime of former president Tiso, which is often being misinterpreted lately.